No. six seed Borna Coric talks about the incredible end to his 2018 season, his breakthrough win against Andy Murray in Dubai four years ago, and more. Croatia’s Borna Coric looks back at the dream end to his 2018 season, his decision to take a break after this year’s Australian Open, his breakthrough victory four years ago (at age 18) against then-world no. 4 Andy Murray to reach the Dubai semi-finals, and more. 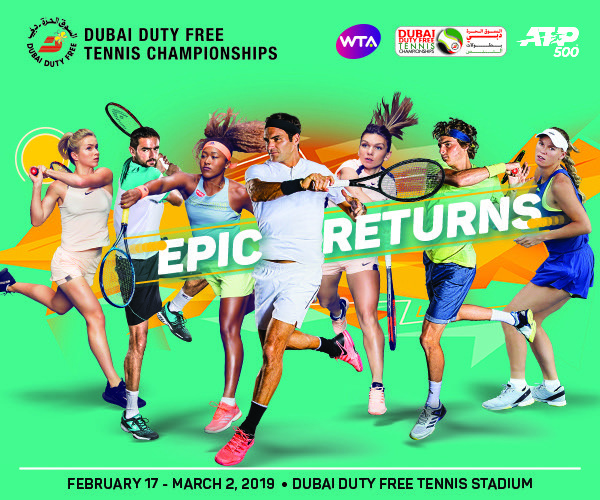 Quarter-final berths are on the line when action gets under way at the 2019 Dubai Duty Free Tennis Championships.